Frank took this picture, but I’m borrowing it because it speaks volumes about our food centered weekend. Kids are here for the weekend. Now that school has started and soccer practice and games are on the calendar, their next visit to the Cape will probably include a chill in the air, sweaters and pumpkin picking. So, for our farewell to summer this Labor Day weekend, we’ve been focused on the foods of the season. Lobster last night. Hamburgers and hot dogs on the grill for lunch. A visit to our favorite ice cream stand. Fried seafood definitely included in our plans for tonight. 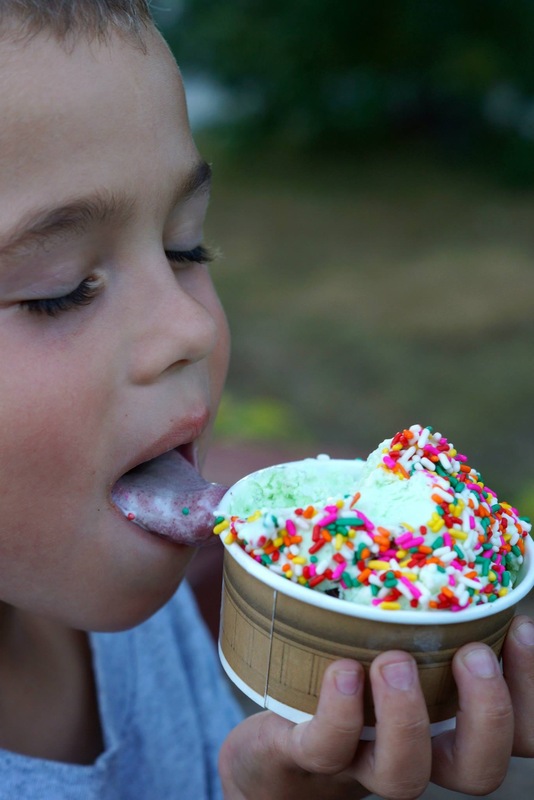 Happiness is ice cream with colored sprinkles!